What Are The Signs Of A Panic Attack? Panic attacks are brief and generally last less than 10 minutes. Some symptoms may last longer and gradually dissipate. People who have one panic attack are at greater risk for having future panic attacks. If you are fearful or anxious about when your next panic attack will occur, please note that panic attacks are treatable and preventable. 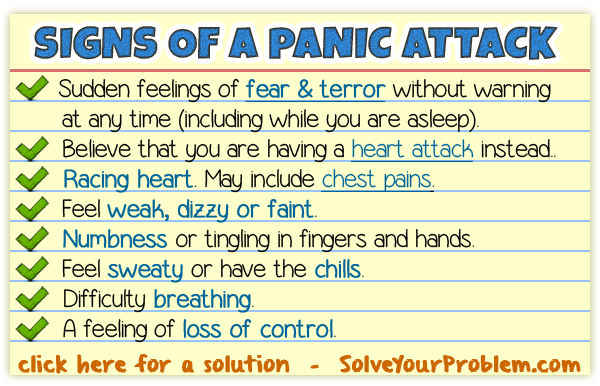 To eliminate your panic attacks and solve your problem, click here.